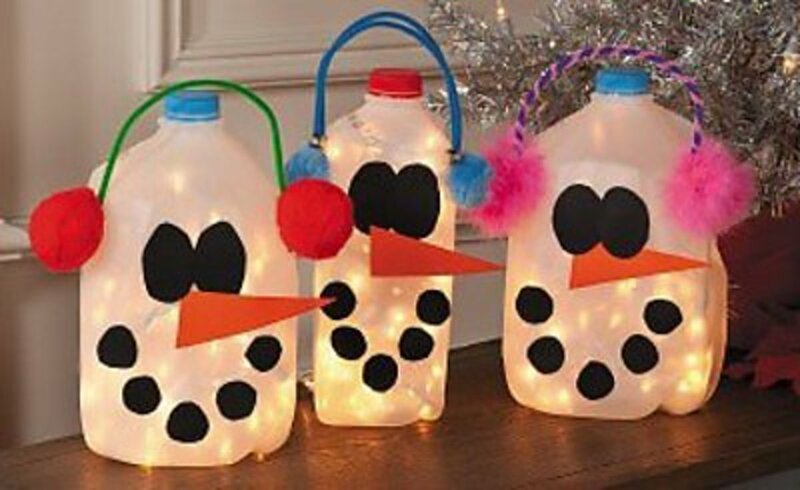 I hope you enjoy these milk jug crafts that I've compiled! It's amazing to see what people can do using milk jugs. To make a large Santa like the one shown, go to The Hiland Home for the instructions. Line these ghosts along your walk to greet the ghouls and goblins that come to visit. For the directions, go to Eighteen25. 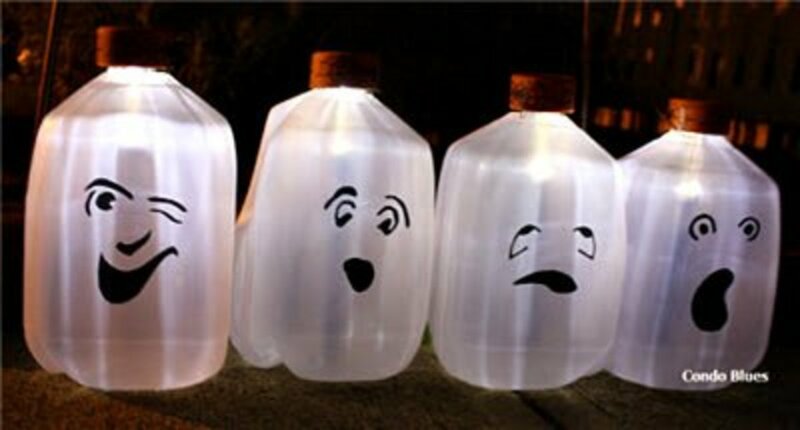 With these ghosts you'll have everyone in the neighborhood in the Halloween mood. I can't wait to make these beautiful butterlies. These can even be used outside. 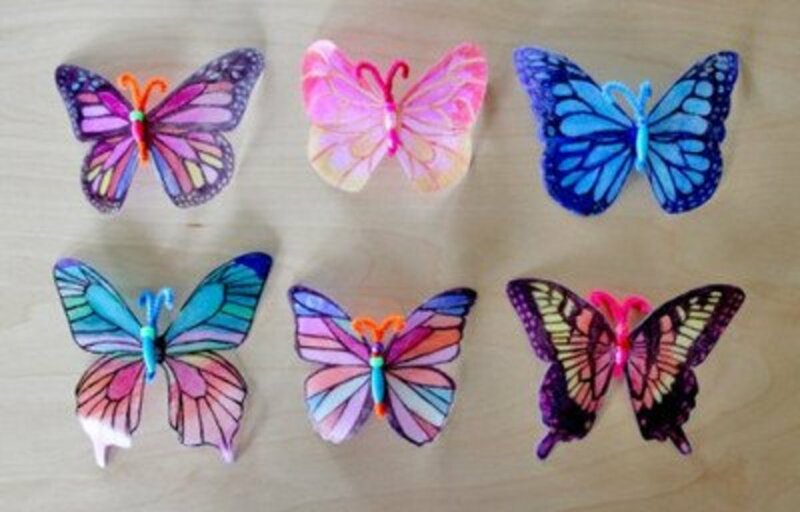 If you want to make some of these butterflies, find the directions at Alphamom. 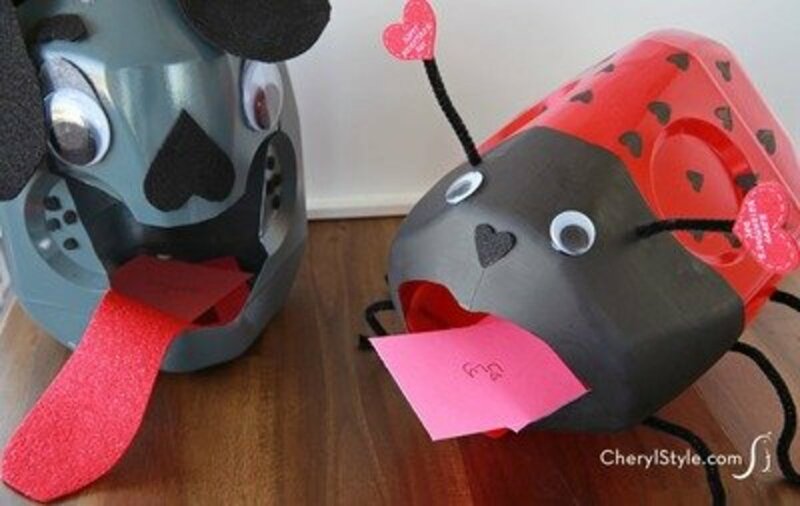 If you want to make the kids cute, but inexpensive, boxes to hold their Valentine cards, this project is perfect. Follow the instructions at Everyday Dishes to either make the ladybug box or the puppy box. Now here is a bird feeder that I would love to have hanging in my backyard. 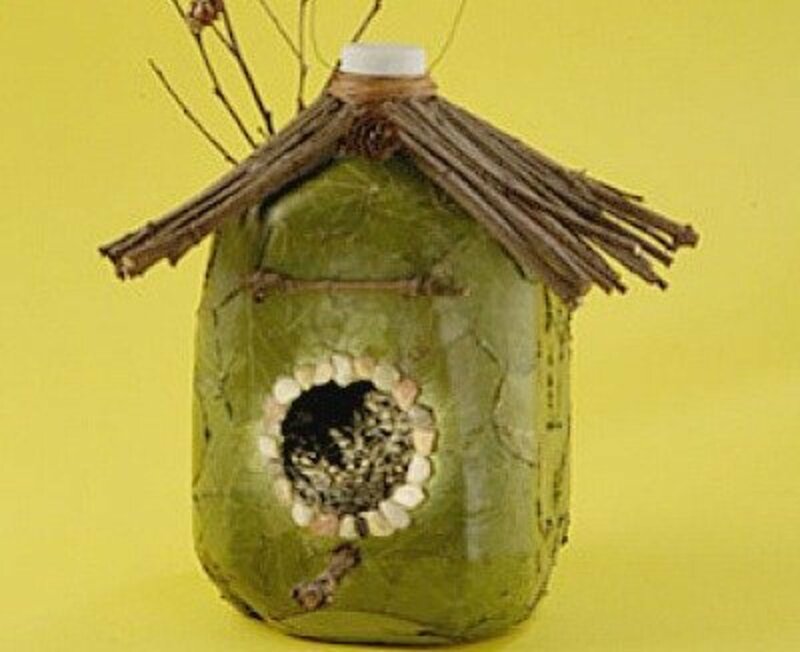 Find the tutorial for making this bird feeder using a milk jug, at Great Stems. 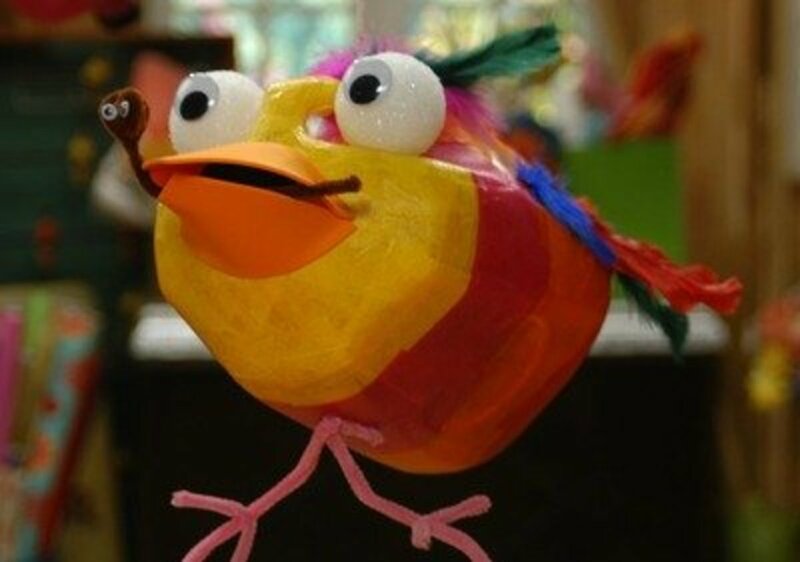 Make a pinata for a birthday party or any occasion when you have kids playing games. You can find the directions at Cathie Filian. This is a really easy pinata to make. And the kids will love it. Solar lights are what make these ghosts gleam. Get the directions to make some of your own, at Condo Blues. Don't you love those expressions? Think of all the faces you can make for your ghosts. 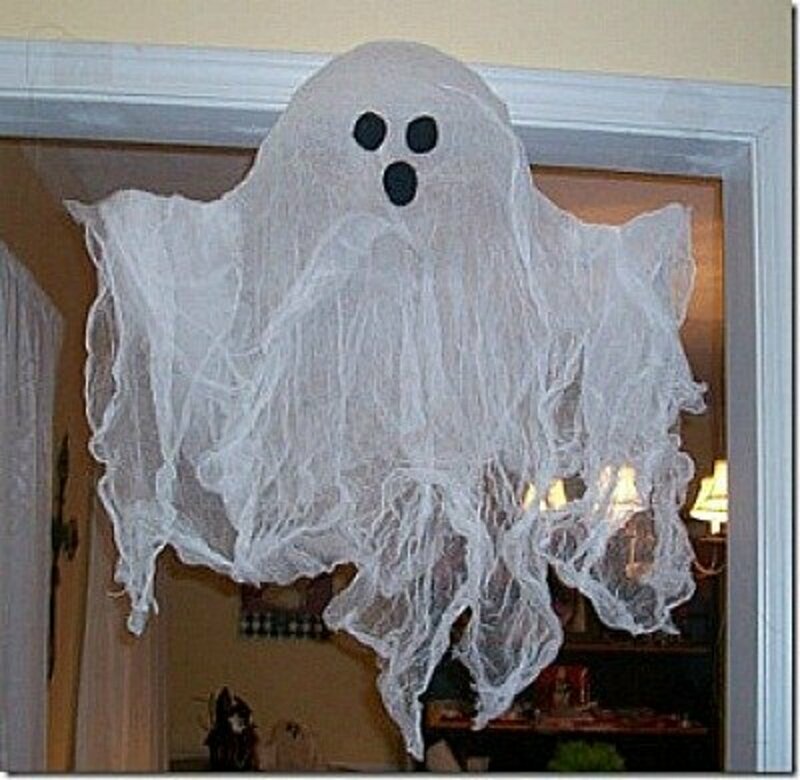 If hanging this ghost outside, I would use strips of white garbage bags instead of tissue paper. Use a heavier duty tape, like duct tape to hold the strips. 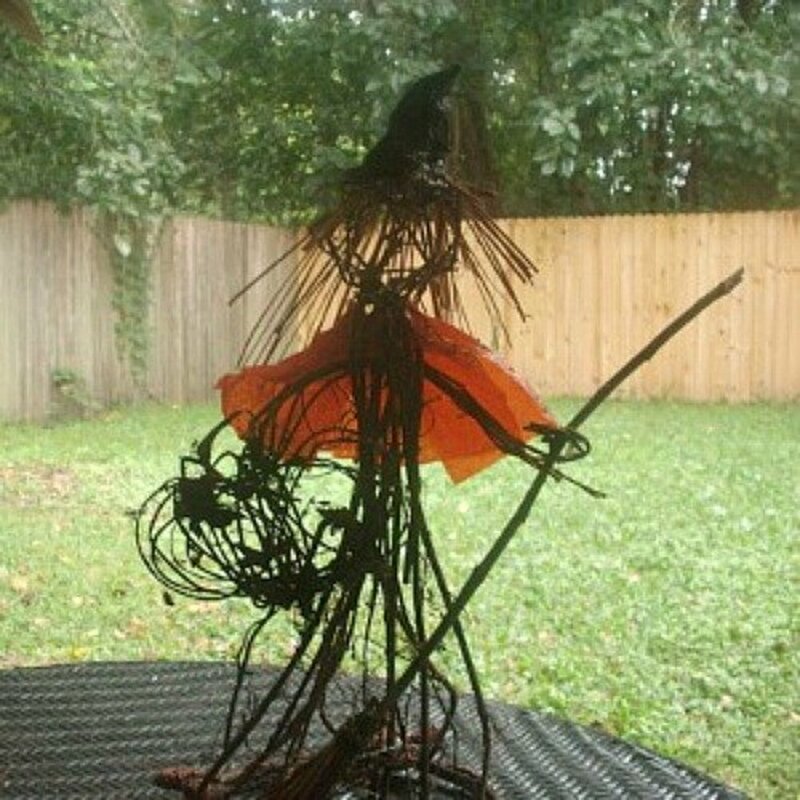 For the directions for this cool ghost, go to The Artful Crafter. Okay, so this really isn't the milk jug, but it came with the jug, so I thought I should be able to get by with adding this project. 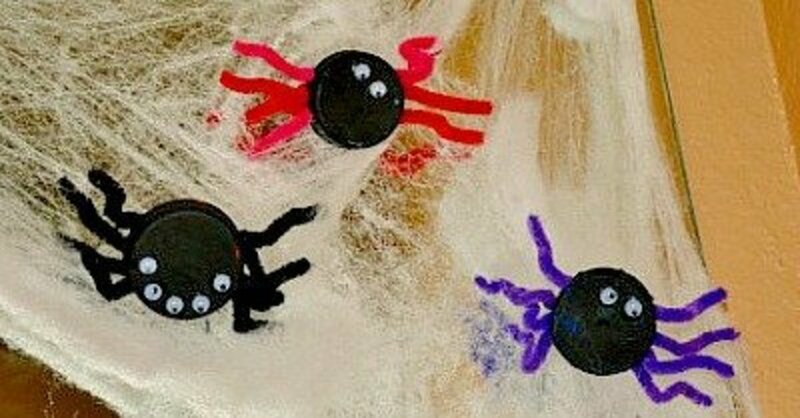 Make these spiders by getting the directions from Quirky Momma. 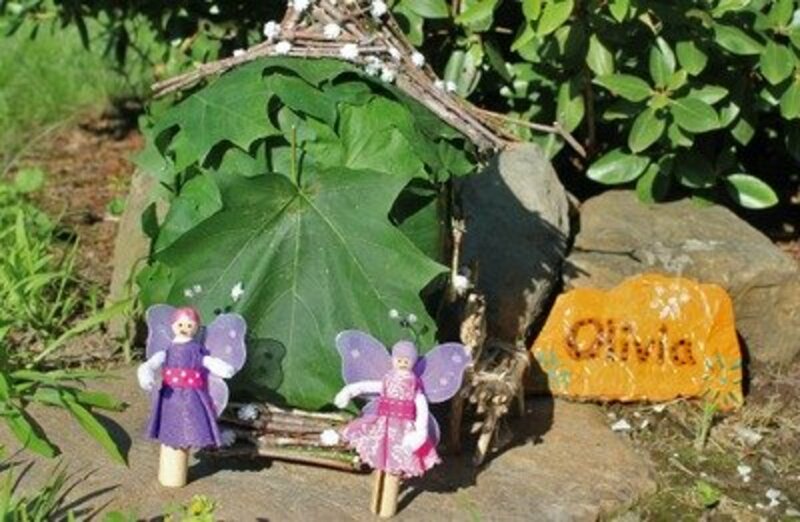 What fun you'll have making this fairy garden home with your little ones. For the instructions go to Inspiration Made Simple. I think if a person made a pattern when making the first one, it would be easy to make many of them later. 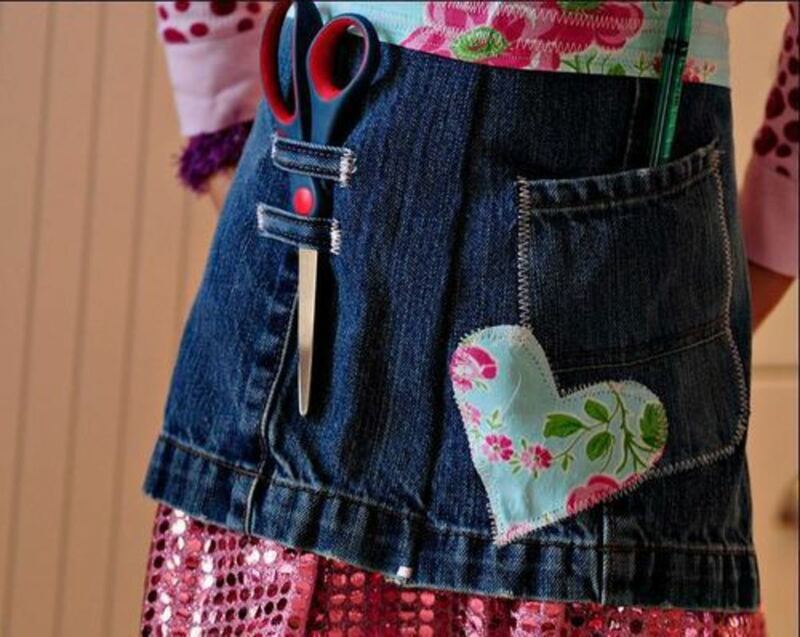 For this interesting project, go to My Recycled Bags for the directions. 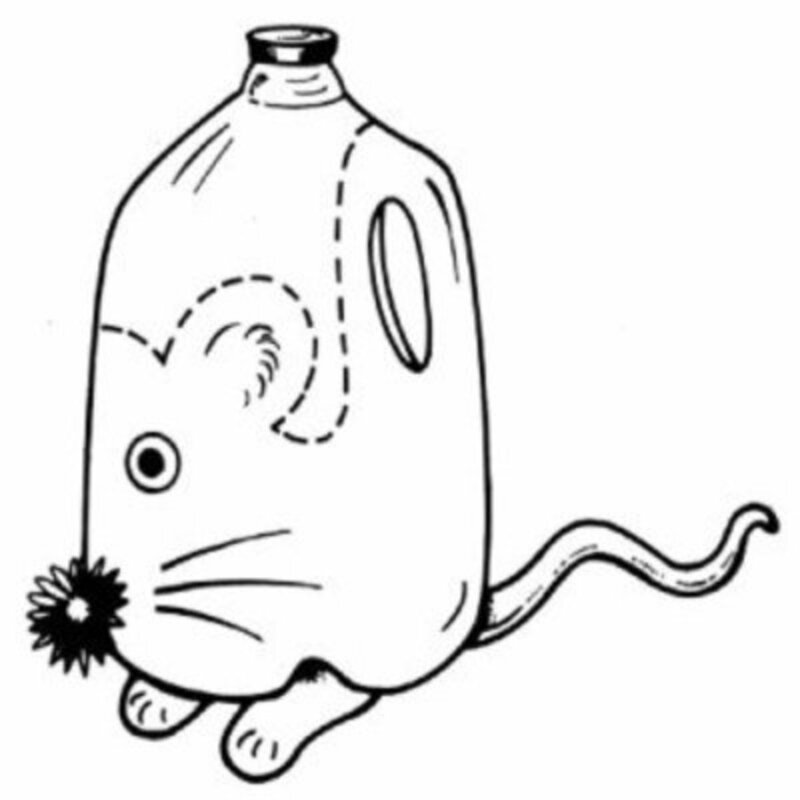 There are directions for making this little mouse, even though there isn't a finished project picture. For the directions, go to TLC. 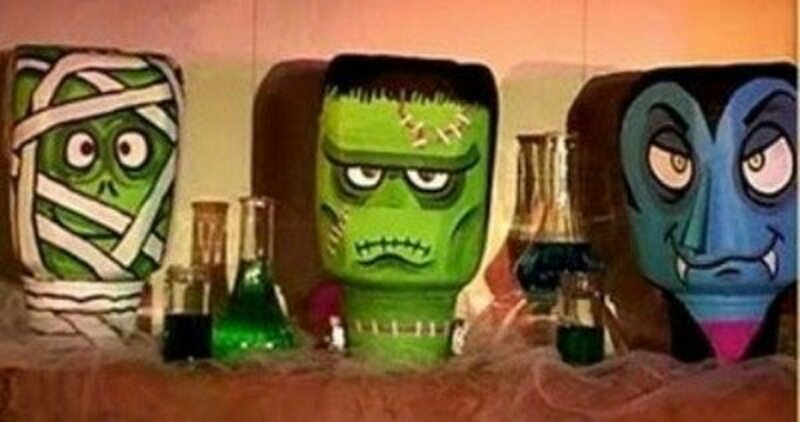 You'll find the directions for the monster heads by going to Fun 4 the Children. These are really cool looking, but also a bit scary. The colors of paints used can make a huge difference when making monster heads. 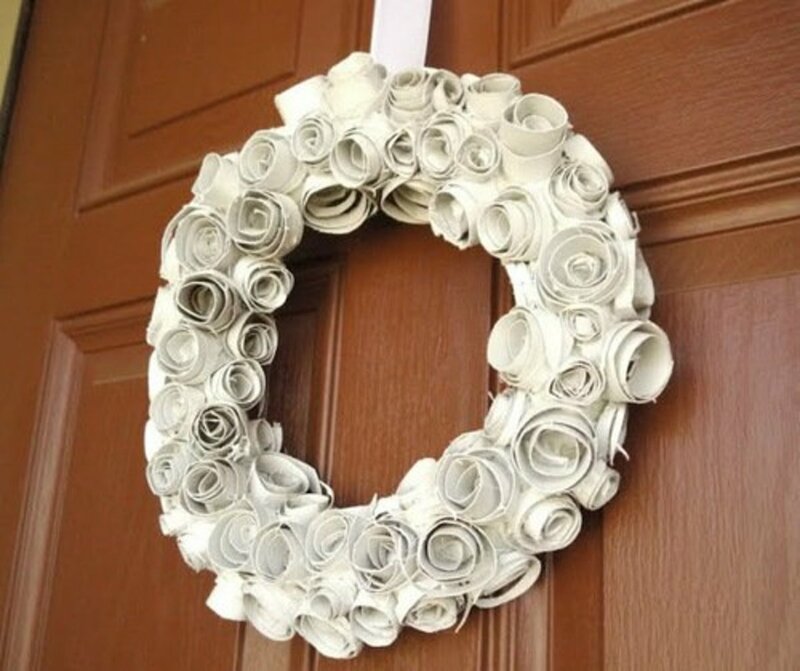 Who would believe that this winter wreath was made with milk jugs? See how it is done, by going to The Hiland Home for the directions. I think this is an outstanding project for Halloween. When I make it, I'll find the directions at Pikadilly Charm. Can you imagine having a few of these along your walkway? 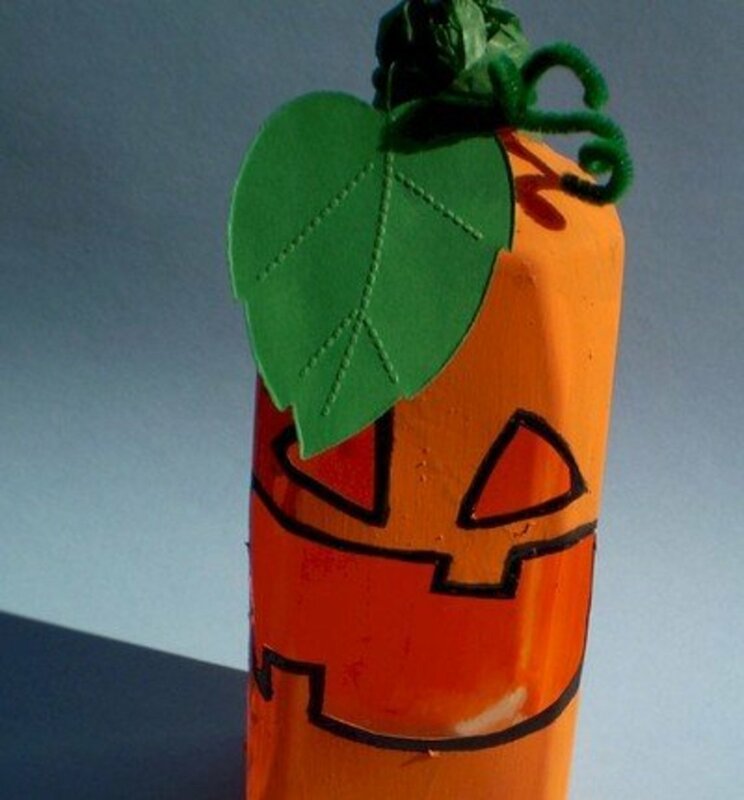 Make this useful and attractive pumpkin candy holder by going to Free Kids Crafts.com . 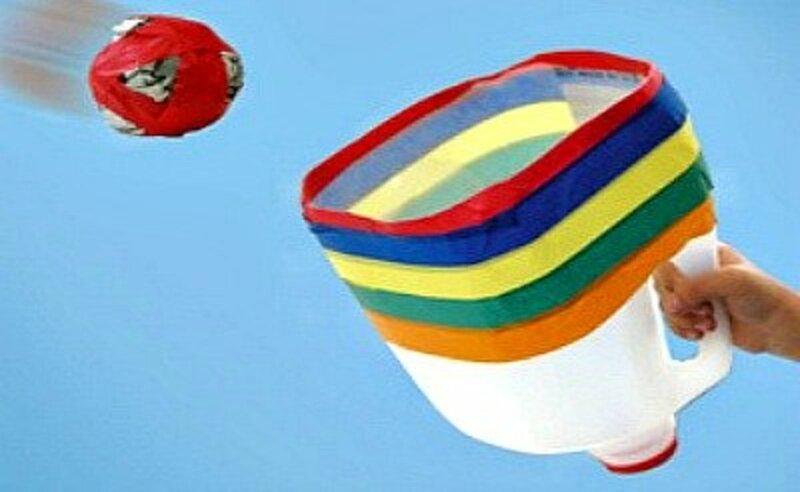 I plan on making some of these catchers for the grandkids to play with while camping. Find the directions at Lakeshore Learning. 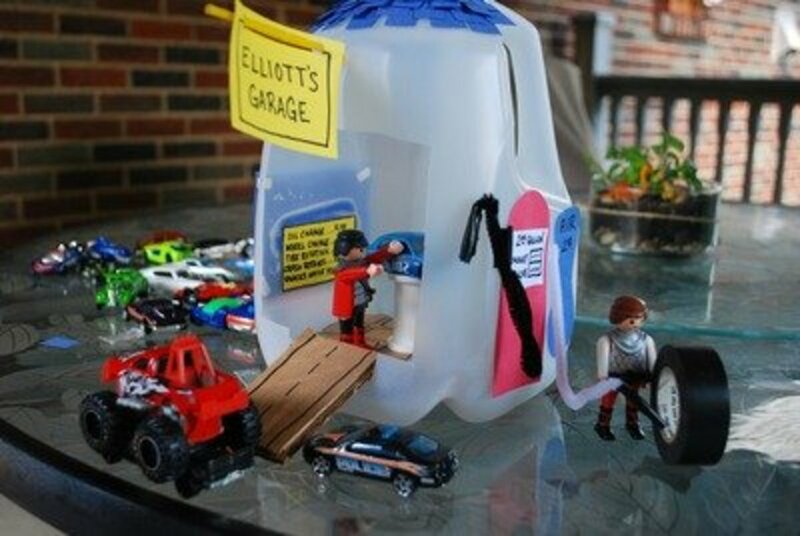 Little boys love their matchbox cars and this garage, made using a milk jug, will keep the boys occupied for hours. Follow the instructions at Craptastic Crafts for Kidsto make this project. I love the looks of these cute white snowmen. Find the directions at Free-n-Fun. 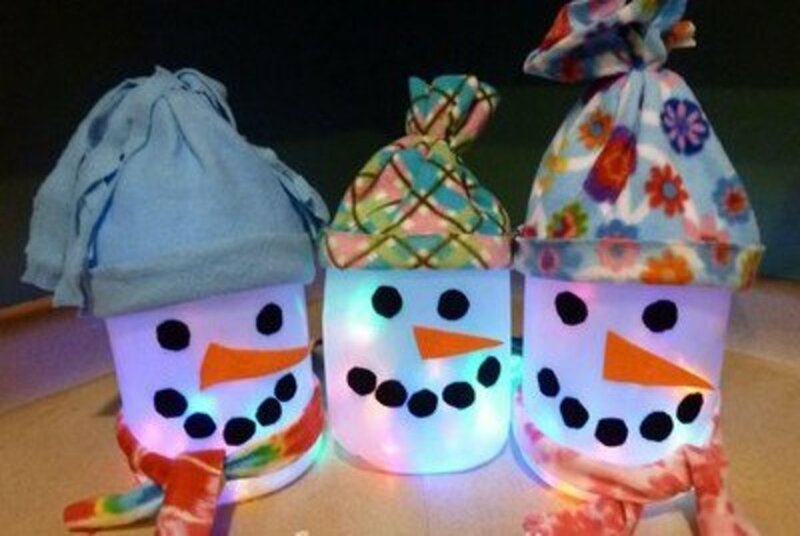 Snowmen like these would put everyone in the holiday spirit. Party on! 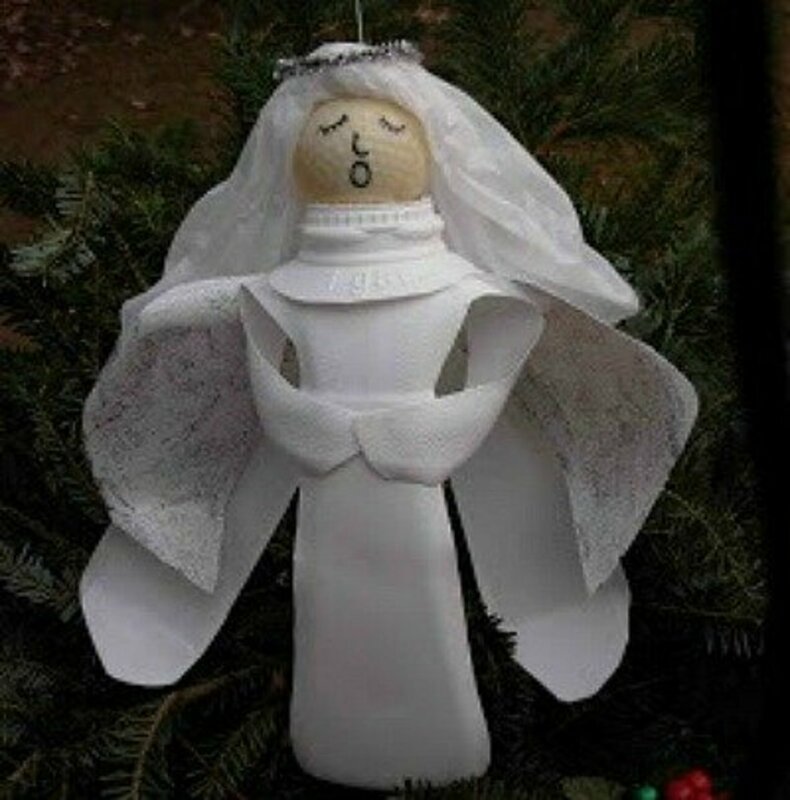 I think I'll try to figure out how to add a stake inside the angel so I can make an outdoor display of angels for Christmas. 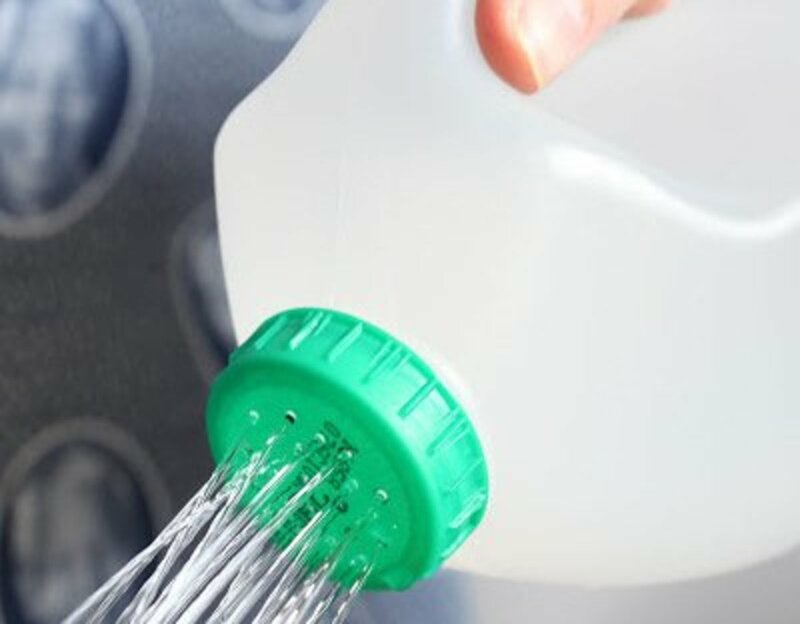 Find out how to cut the milk jug at Crack of Dawn Crafts. Instructions are found there also. I think these elegant earrings have the look of fine, opaque seashells. 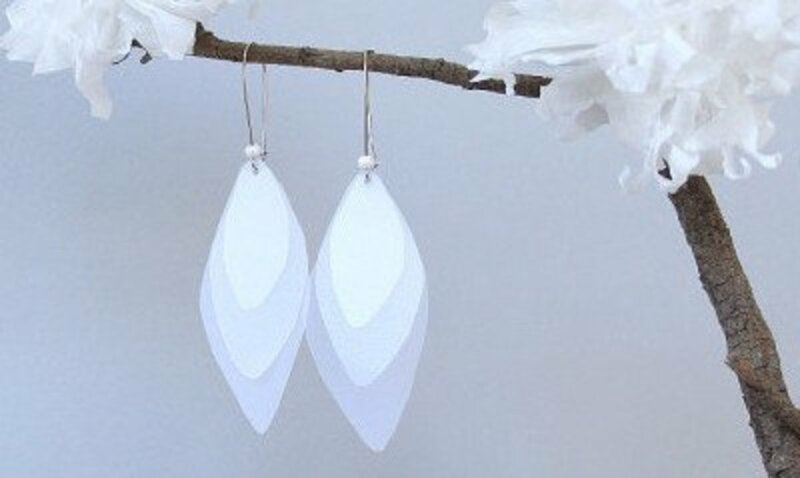 Find the tutorial for making these earrings at Eskaa Makes. These are definitely earrings that could be worn casual or for an elegant affair. I love, love, love these little (or big) elephants. And using milk jugs to make them is wonderful. 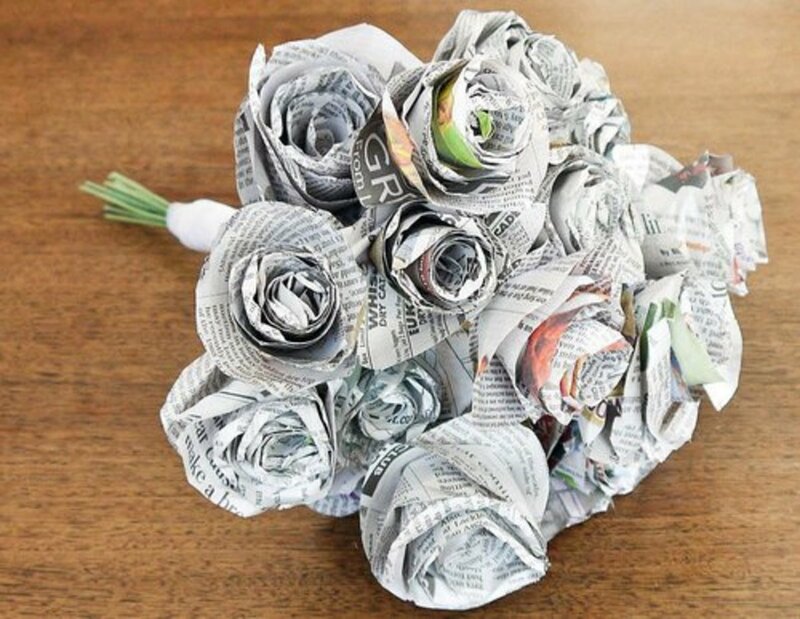 I think these would be great for an art class, either at home or in the classroom. 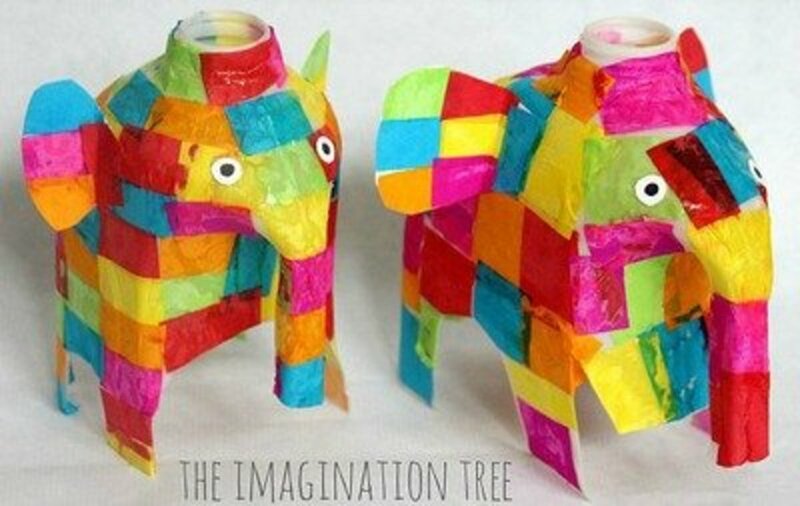 For the instructions to make these milk jug elephants, go to The Imagination Tree. Okay, so who woulda thunk! 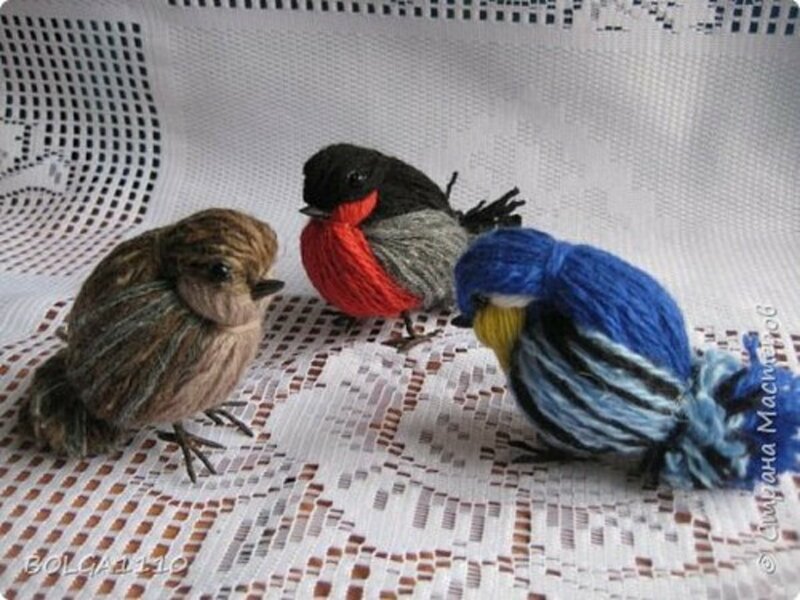 Crafters never fail to amaze me with the ideas that they come up with. This milk jug swan is a perfect example, so very inspired. 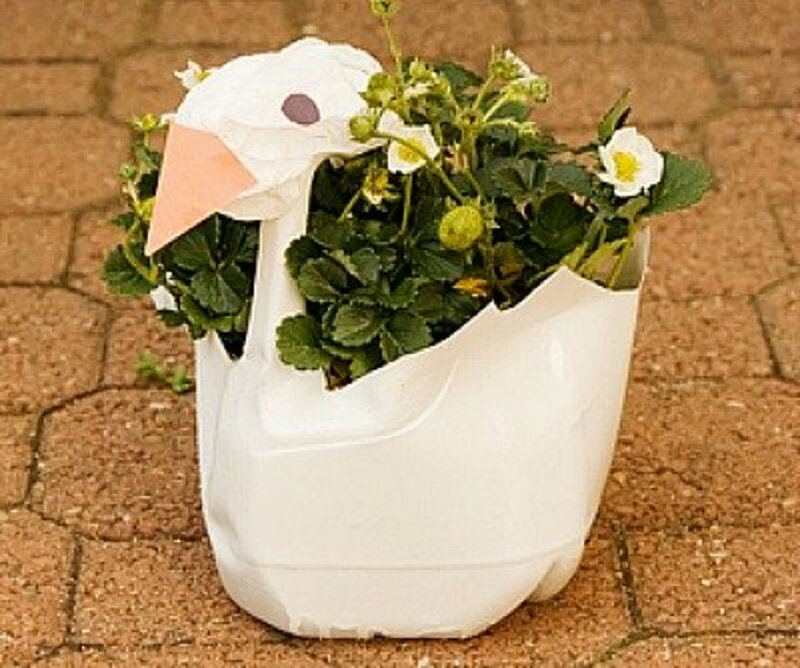 For the directions for making this swan planter, go to Education.com. Here is a little different version of a milk jug flower. 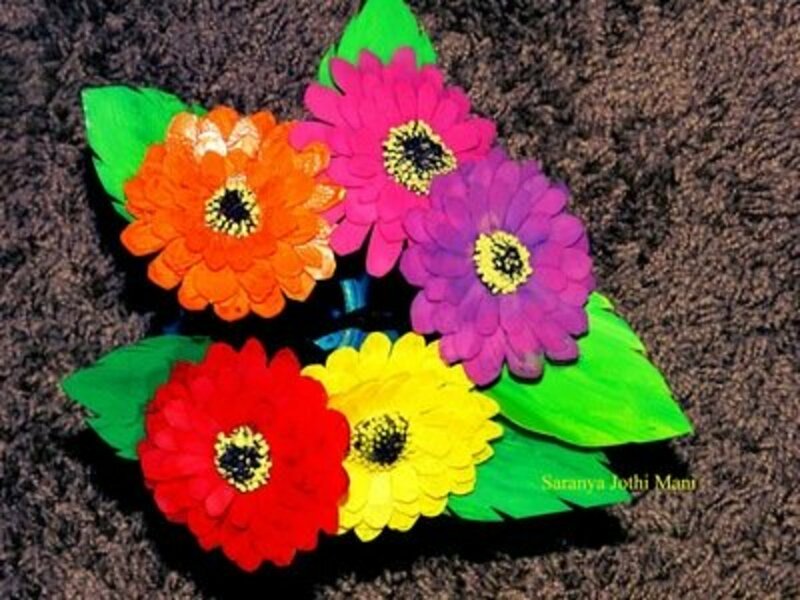 This very attractive zinnia can be made by following the instructions given at Creative DIY Crafts. Easy and inexpensive. 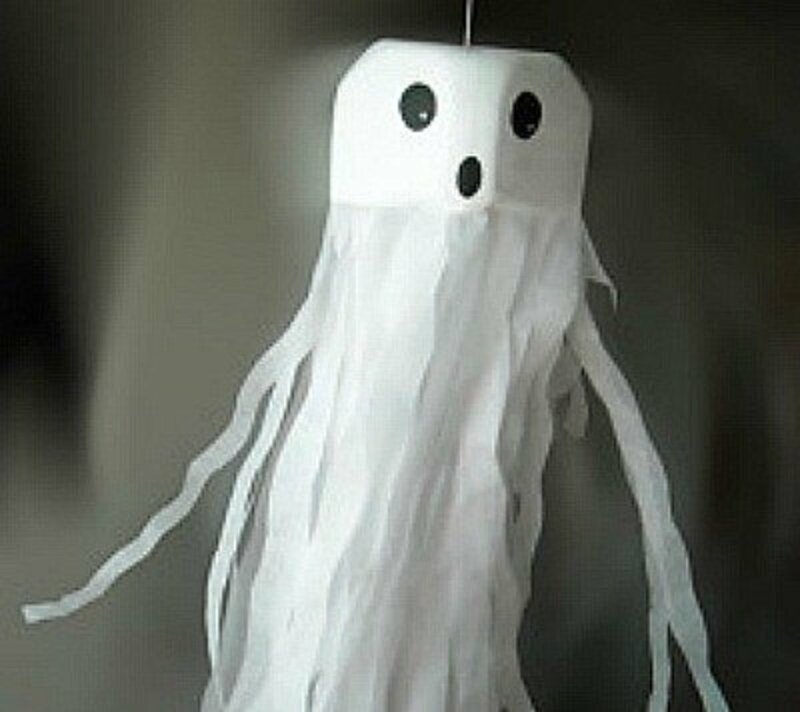 Cheese cloth shaped over a balloon until dry makes this a spooky ghost. Find the directions at The Party Bakery. This is so easy to do and so very festive. 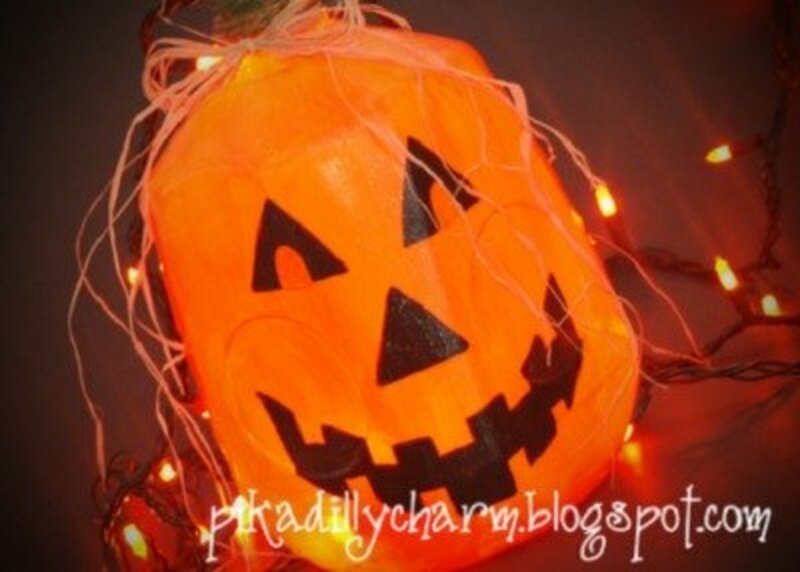 Make these attractive orange jack o lanterns with the directions from What to Expect. 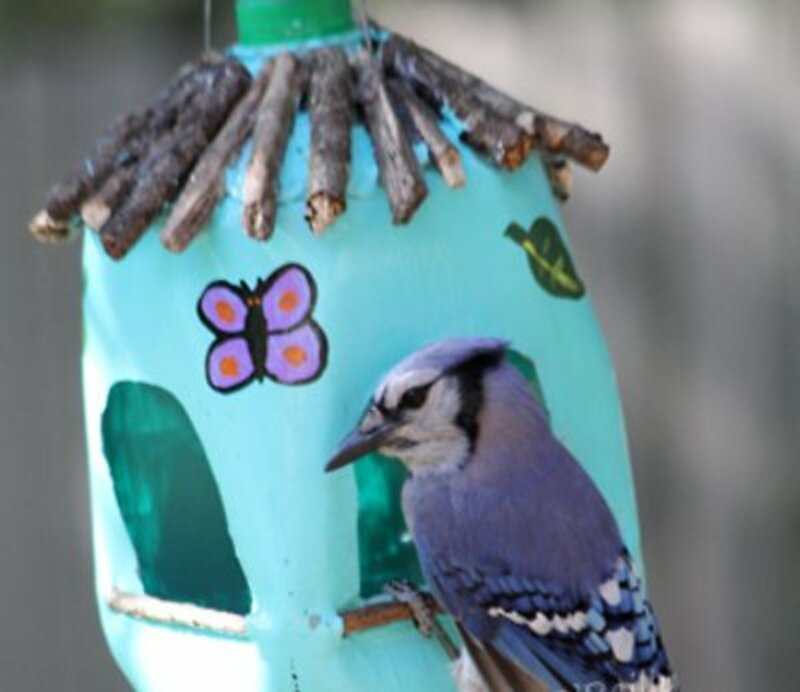 This little bird house feeder would look so nice hanging in the back yard......and think how the birds will love it. The directions can be found at Mother Nature Network. 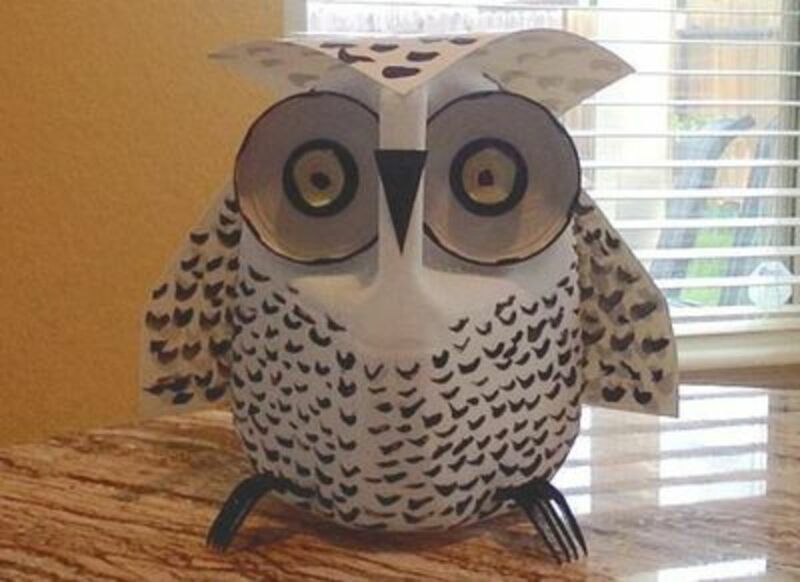 Go to Instructables for directions on how this snowy owl is made. 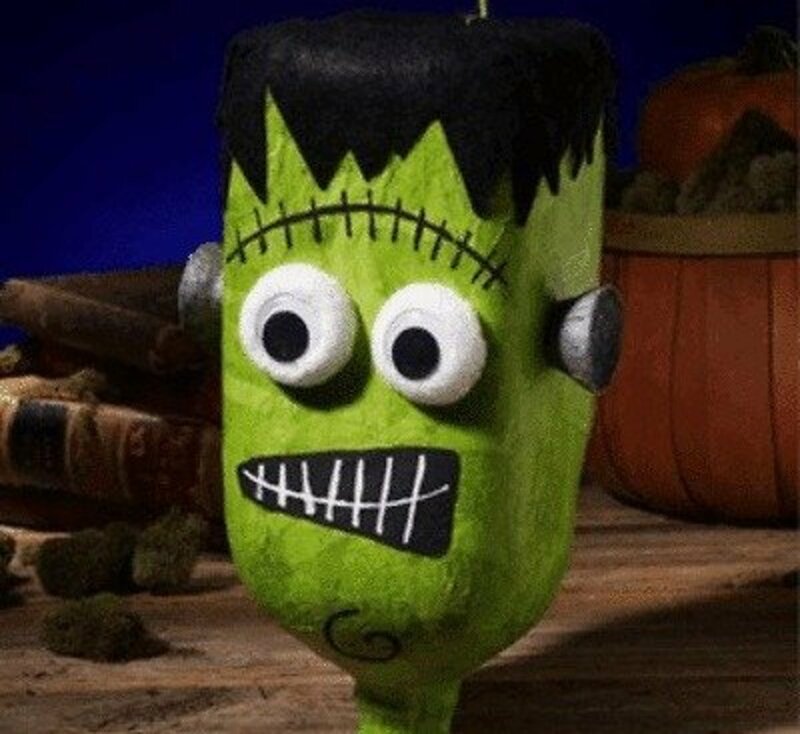 A monster pinata would be welcome at a birthday or Halloween party. You can find the directions for this pinata at Green Eco Services. 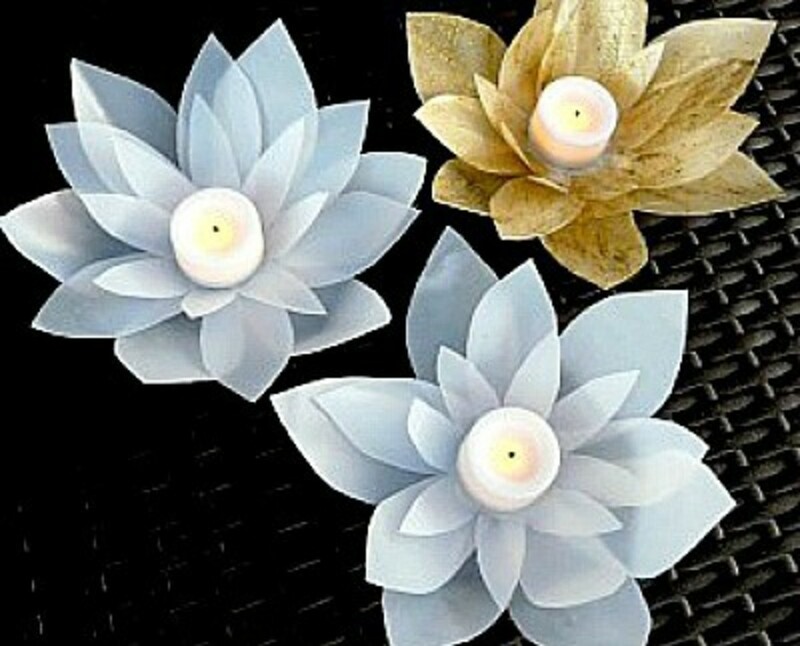 These votives look like lotus flowers to me. The directions for making these votives can be found at Bliss, Bloom, Blog. Be sure to read the tip about the type of glue to use. Start saving your milk jugs now because it take seven of them to make a skeleton. I know I'm going to have to start saving right now. 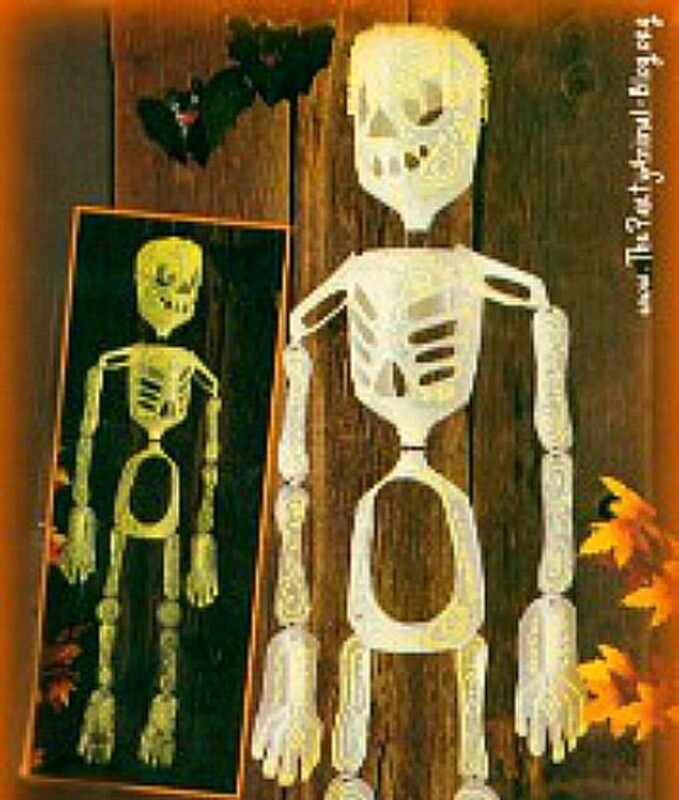 Find the tutorial for making a milk jug skeleton at The Party Animal. 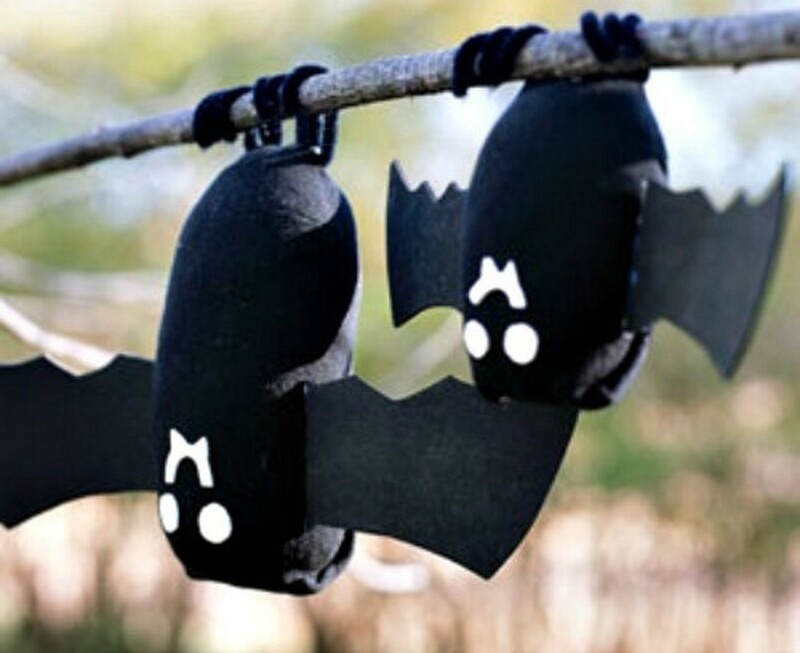 This is a great project if you like to decorate outdoor for Halloween. 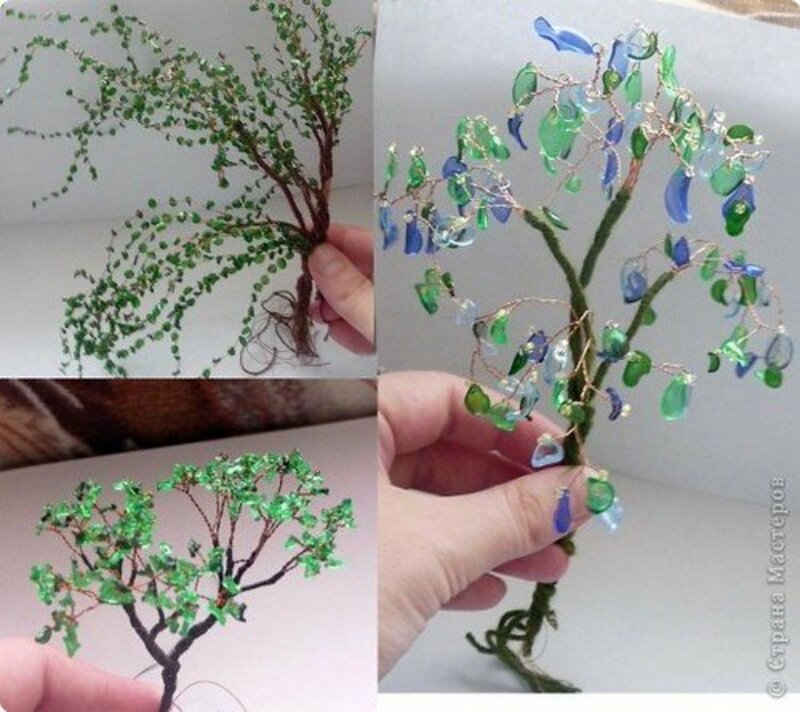 These beautiful flower string lights could easily be used for not only party, but also bridal decorations. Find the tutorial for this project at Recreations Projects. 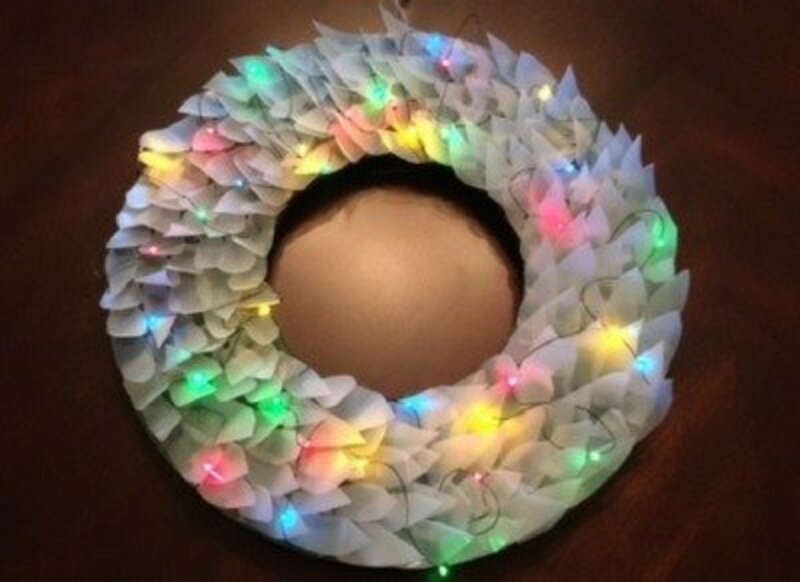 Find the tutorial for this super cute Christmas craft idea at Fun on a Dime. The kids will really enjoy making jewelry using milk jug plastic. I'm impressed with this DIY project. 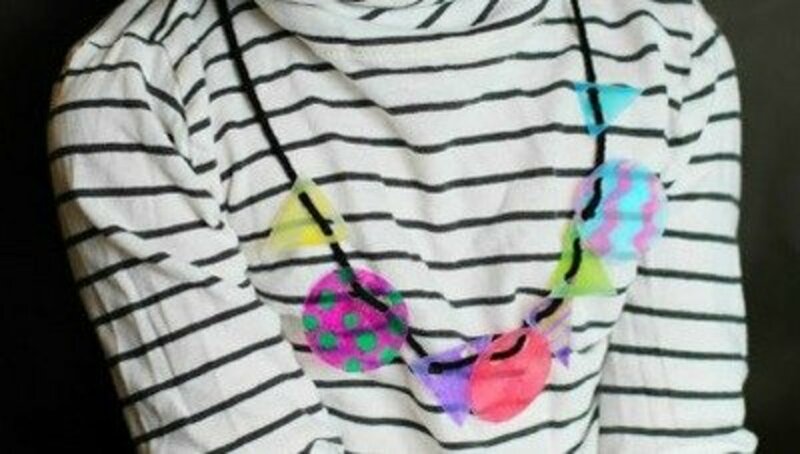 You can find the instructions for making this necklace at PBSparents. 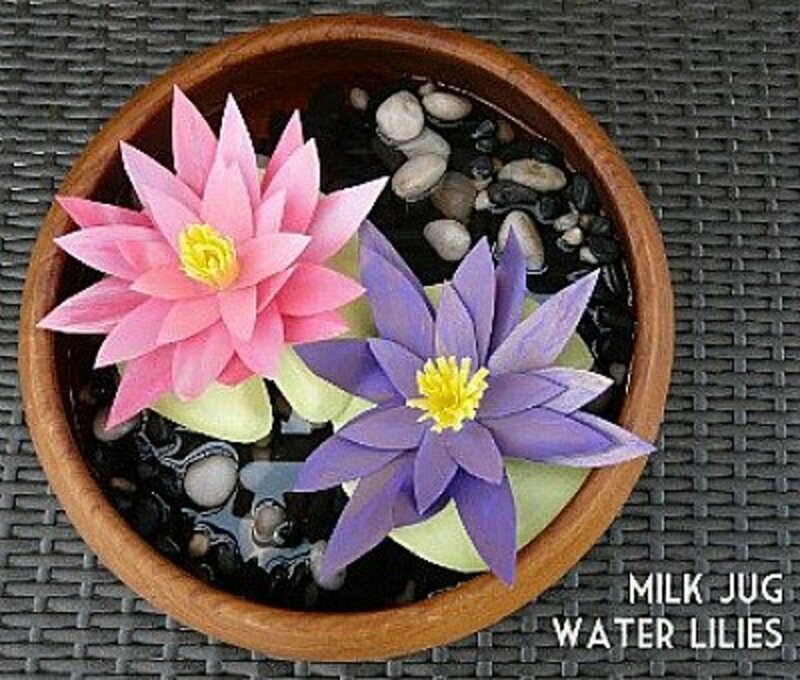 These milk jug lilies really do look like the real thing. Imagine making a terra cotta pot water container with water lilies. Go to Bliss, Bloom, Blog for the tutorial. 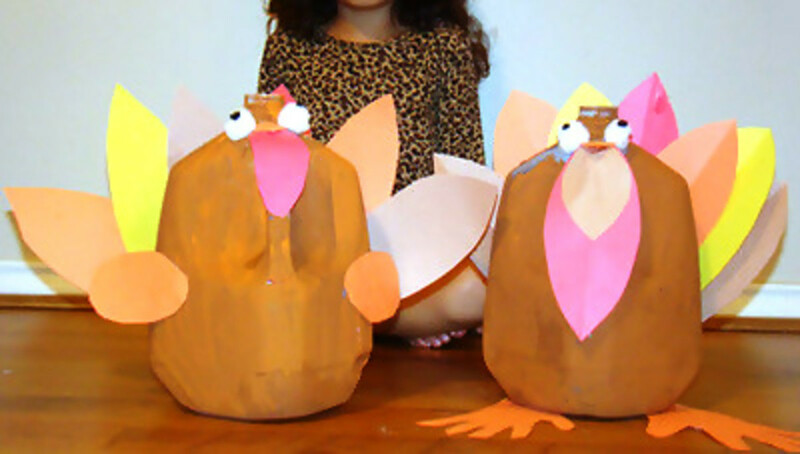 This milk jug turkey, with directions at Show Me Mama, would make a nice outdoor Thanksgiving decoration because the feathers are cut from milk jugs too. So easy to make and so cute. Go to All Because She Saved for the tutorial. 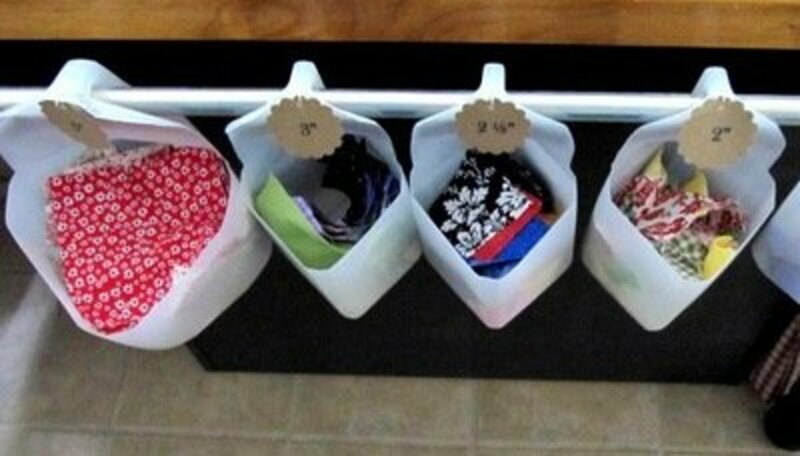 Quilters will surely love this fabric scrap storage idea. 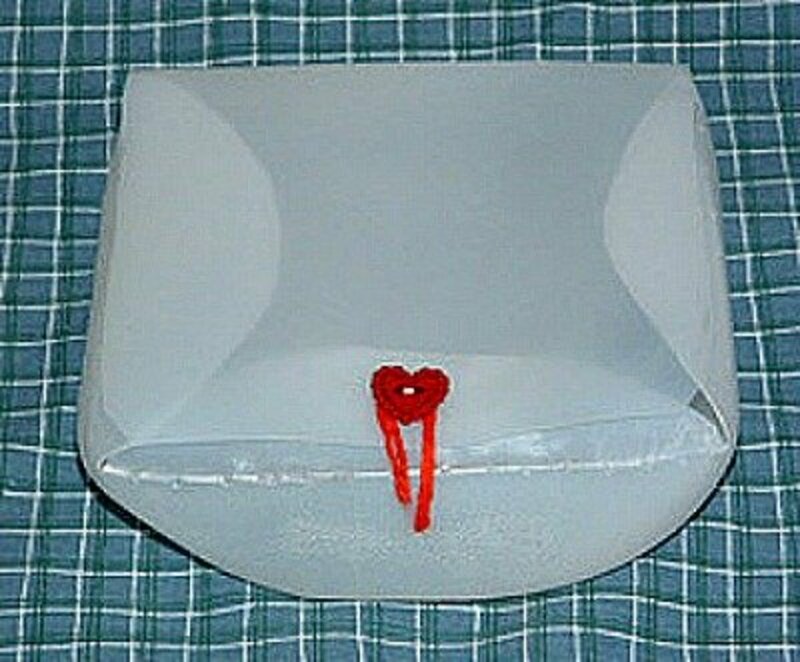 See the instructions at Sew Many Ways. Suggestion included is to cut the scraps in sized pieces for future quilting projects. Another great idea for making a house plant sprinkler with instructions given at A Journey to a Dream. Thanks for your visit, Justin, and your comment about making the ghosts. It's getting time to put them out for this Halloween now. Hope you have lots of fun making and displaying them. 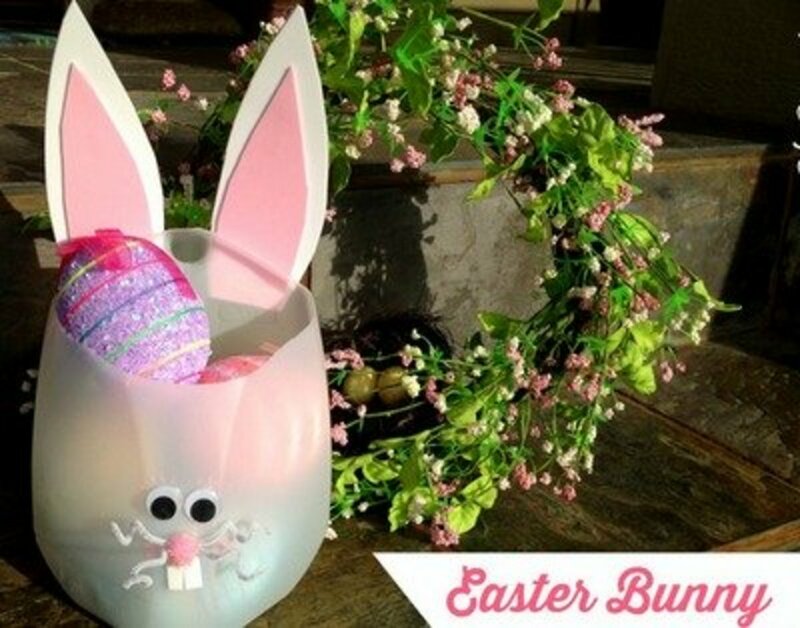 love love love all the milk jug crafts, as well as some of the clothespin ones, thanks for all the tips! 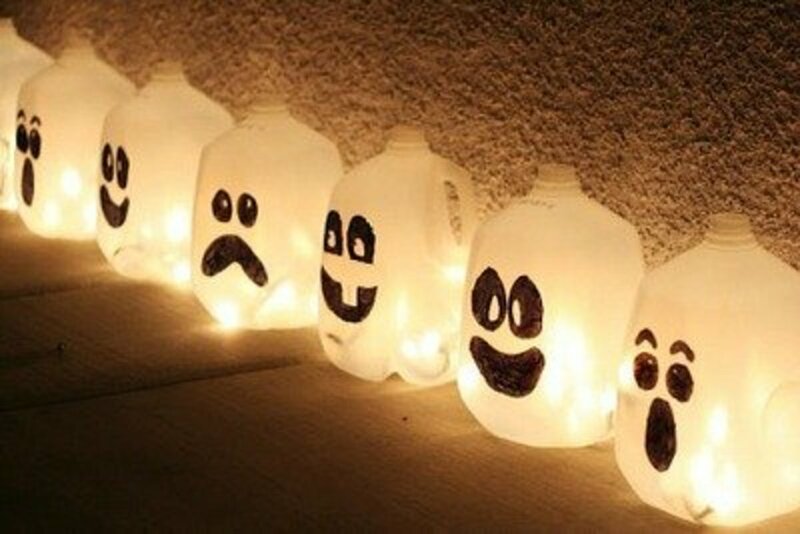 I love the ghost milk jugs! They would be great to place by my front door for Halloween. I had fun about 4 years ago making milk jug skeletons but was a little different. My yard had skeleton sitting, standing, in a coffen upright, in a trunk as a pirate with beads,fake coins/bills and a patch on his eye with a fake butcher knief and a few whiskey bottles around the chest in the yard. one in a chair holding a pepsi can like going to take a drink. Sitting on/by fake tombstones or half ones like crawling out of the ground. All halloween we had people taking pictures of our display and hou it was such a crafty idea-I had fun showing off my talent too. I just love!!! the ideas here using jugs can't wait to try them myself. I once saw a tree at Christmastime that was a little taller than the house, decorated with several strings of multicolored lights encased somehow with gallon milk jugs. It looked like giant gumdrops. I wish I had a picture to share; you'll have to use your imagination. 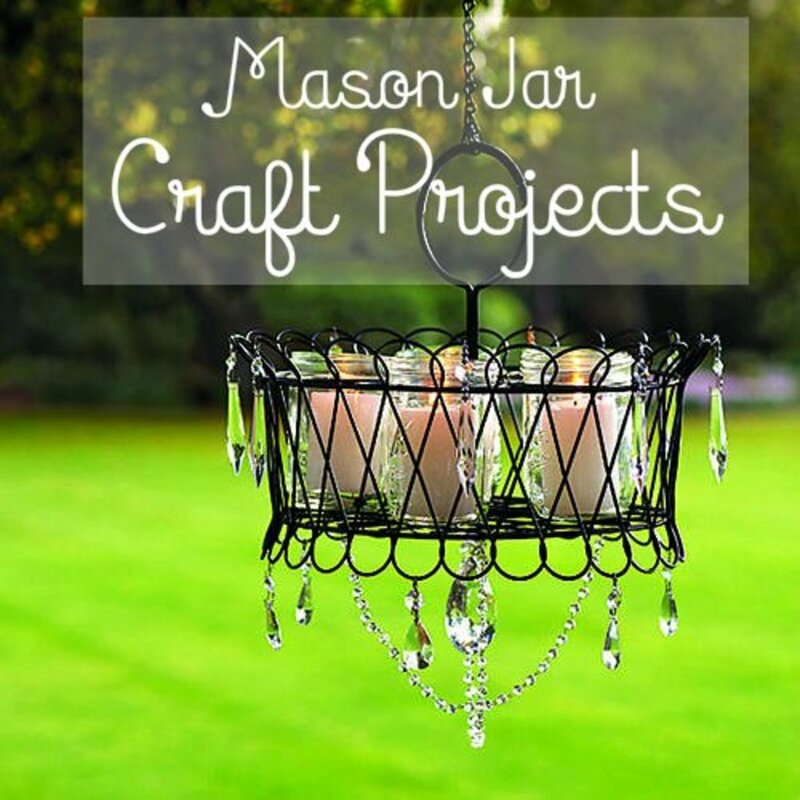 Maybe a project to add to your repertoire. A great tutorial! Keep writing!It's makes my day to see a Big Squid come to my lens and like it. Thanks! My favorite is the mask idea. They look so fun to make! 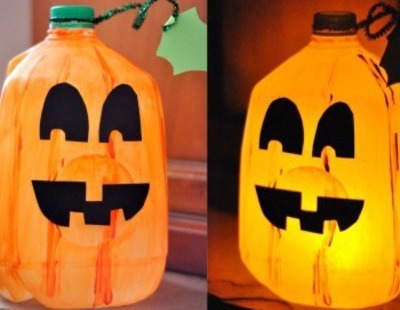 Liked all the Halloween themed milk jugs/crafts. 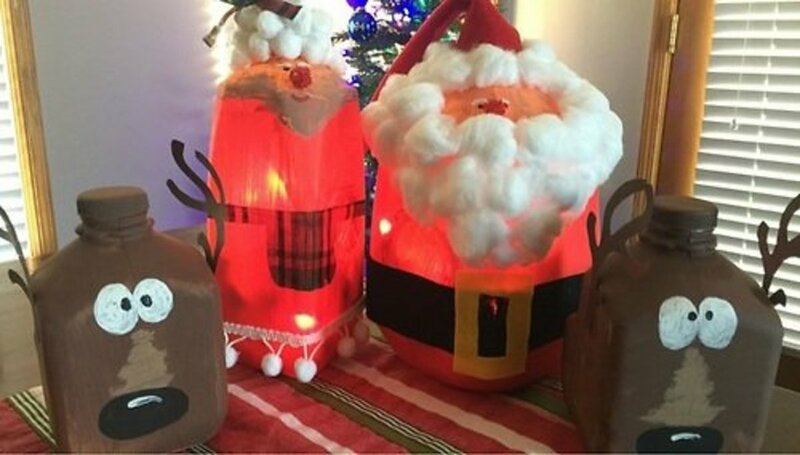 Great ideas and always wanted ideas to reuse milk jugs.